Get out those hiking books because today, we’re going to explore the top dog-friendly hiking trails in the U.S! Summer is a great time to take in all that Mother Nature has to offer! And what better way to get some exercise with your dog than with a great hike! 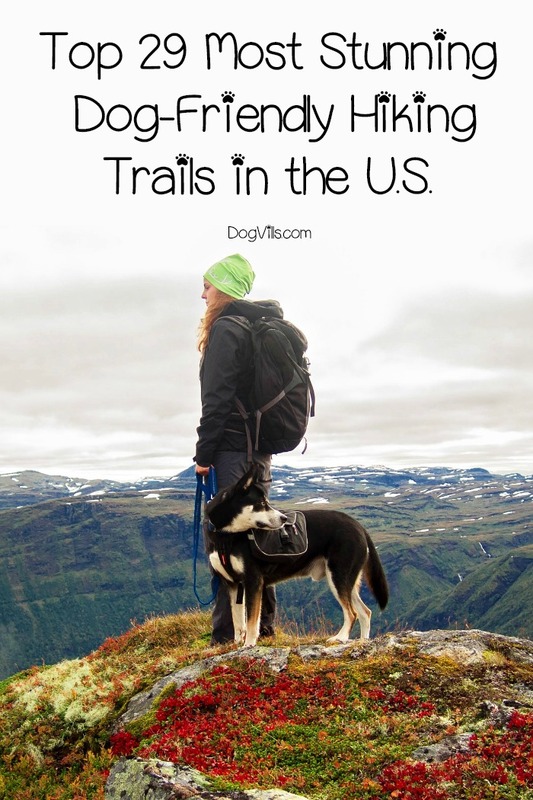 Great news- you can take along your best furry pal and enjoy one of these awesome hiking trails in California, Florida, Illinois, New York and Texas. Located near the 101 Freeway, in Calabasas, the Anza-Loop trail has a 535-foot elevation change. The trail starts at the Juan Bautista de Anza West Trailhead and takes you through a time in history, complete with amazing sights and sounds. Location- The Santa Monica Mountains in Los Angeles County and Ventura County, within the Santa Monica Mountains Conservancy Zone Parkland. Length- 4.5 miles of loop trail. Walking Time- 1 hour & 40 minutes. Dogs are able to use this trail but must be kept on leash. Need to stop for supplies before your hike? 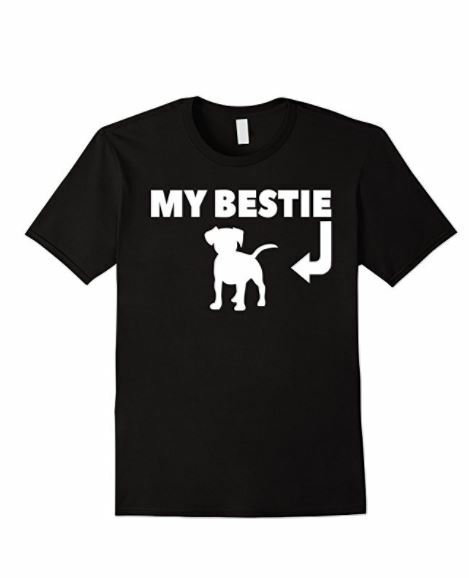 Check out the Top Dog Friendly Stores In The US! Located on the Northern side of the Santa Monica Mountains, in Tarzana, this trail features a 625-foot elevation change. The trail begins on Reseda Boulevard, at the Caballero Canyon Trailhead, with awesome views of the Caballero Canyon. Location- The Santa Monica Mountains in Los Angeles County and Ventura County, within the Marvin Braude Mulholland Gateway Park. Length- 3.4 miles round trip. Walking Time- 1 hour & 15 minutes. Located between residential ridges, this trail features a 550-foot elevation change. The trail starts at your choice of the bottom or the top of the Lunada Canyon, with great views of the Agua Amarga Canyon and the Lunada Bay. Location- The Palos Verdes Peninsula in the South Bay region of Los Angeles County, within the Agua Amarga Ecological Reserve. Length- 1.9 miles round trip. Dogs are also able to use this trail but must be kept on a leash. Located in Big Sur, this trail features a 50-foot elevation change. The trail begins on the Western side of Highway 101, with stunning views of the Santa Lucia Mountain Range and the Big Sur Coastline. Location- The Los Padres National Forest in Monterey, Kern, San Luis Obispo, Santa Barbara and Ventura counties. Length- 1.1 miles round trip. Located in Altadena, this trail features a 350-foot elevation change. The trail starts at the Rubio Vista Road Trailhead, with amazing views of several waterfalls. Location- The San Gabriel Mountains in Northern Los Angeles County and Western San Bernardino County. Length- 1.3 miles round trip. This trail features a 115-foot elevation change. The trail begins in Malibu, with stunning views of Zuma Canyon. Location- The Santa Monica Mountains in Los Angeles County and Ventura County. Length- 2.8 miles round trip. This trail is the official nature trail for the Anastasia State Park, which provides you with an up-close and personal view of the native habitats of the area. Location- The Anastasia State Park on Anastasia Island, in St. Augustine. Length- 0.7 miles round trip. Fees & Permits- Florida state park admission fees are $2.00 each for pedestrians & bicyclists and free for children under 6 years of age! This trail provides you with awesome views of the Ochlockonee River and forest-filled ravines. Location- The Lake Talquin State Park between Lee County and Gadsden County, in Tallahassee. This trail is slightly elevated over Marshall Swamp, which features a dense, lush forest that is home to ancient oak trees. Location- The Marjorie Harris Carr Cross Florida Greenway in Silver Springs. Length- 4.5 miles round trip. This trail slinks through land that used to be home to numerous vegetable farms, with awesome views of purple Spiderwort wildflowers and large oak trees. Location- The Charlotte Harbor Preserve State Park in Punta Gorda. Length- 1.7 miles round trip. This trail waltzes through oak hammocks and pine flatwoods, which leads to Steinhatchee Falls, Florida’s widest waterfalls. Location- The Lower Steinhatchee Conservation Area, which surrounds the Steinhatchee River, South of U.S. Route 27, in Steinhatchee. Length- 3.3 miles round trip. Dog must be on a leash. Related: Top 31 REAL Dog-Friendly Beaches in the U.S. This fun and scenic trail provides you with amazing views of Tucker Bayou. Location- The Eden Gardens State Park in Point Washington. Length- 0.9 miles round trip. This scenic trail, which is surrounded by large boulders and a meandering stream, ends with a stunning, intermittent 100-foot waterfall. Location- The Ferne Clyffe State Park in Goreville. This trail runs through 4 major parks- Lincoln Park, Grant Park, Burnham Park and Jackson Park- as well as 2 dog parks– Montrose Dog Beach and Edgewater Dog Park and several local attractions, including the Museum of Science & Industry, the South Shore Cultural Center and the Waveland Clock Tower. Location- Lake Michigan’s Western shores in Chicago. This trail meanders from the city of LaSalle to the city of Ottawa, with scenic lakes and sandstone bluffs along the way. Location- The Western side of the Illinois & Michigan Canal. This trail is part of the Grand Illinois Trail, which is the longest trail in Illinois, at 575 miles long. The trail, which used to be home to a railway, travels from the city of Freeport to the Illinois-Wisconsin State Line. It goes over the course of 22 bridges, through an array of state communities and villages, including Buena Vista, Orangeville, Red Oak and Scioto Mills. This trail is known as a rail-with-trail corridor. If you have never heard this term before, don’t worry; I had to look it up because I had no clue what it was! So, a rail-with-trail is basically a working railway that doubles as a recreational trail. In this case, the trail is set 40 feet away from the railway. Pretty neat, huh? The trail connects the suburban city of Highland Park with the village of Lake Bluff. This trail starts in the city of Eldorado (Saline County) and ends between the villages of Cypress (Johnson County) and New Grand Chain (Pulaski County). The trail is the home of a former railway and waltzes through lush wetlands, open farmland and thick forests. Location- The city of Vienna in Johnson County. This trail provides you with a tranquil hike, meandering through a lush forest, to a bare-rock summit that provides you with 360-degree views of the Adirondack Mountains High Peaks and the 3 Saranac Lakes (Upper, Middle & Lower). Location- The Adirondack Park in Saranac Lake. Length- 5.4 miles round trip. Walking Time- 1 hour & 53 minutes. This trail features a babbling brook, panoramic views of the Hudson River and ruins of the former Cornish Estate. Location- The Hudson Highlands State Park in Cold Spring. Length- 4.9 miles round trip. Within the first 0.8 miles of this hike, you’ll climb about 540 feet! The 1.6-mile mark provides you with stunning views of Terrace and Wittenberg Mountains, as well as the Devil’s Path Mountains. Location- The Catskill State Park in Big Indian. Length- 6.9 miles round trip. Walking Time- 2 hours & 15 minutes. This is one of the most popular dog-friendly hiking trails in New York! It features babbling brooks, a cozy pond and rolling hills. Location- The Hardscrabble Wilderness Area in Briarcliff Manor. Length- 3.5 miles round trip. This trail takes you across the Eastern section of Long Island, providing you with panoramic views of the Atlantic Ocean and up-close views of the Montauk Lighthouse. Location- The Camp Hero State Park and the Montauk Point State Park, both in Montauk. Length- 5.5 miles round trip. The park encompasses Stump Pond, AKA Blydenburgh Lake, the 2nd largest lake on Long Island. The trail waltzes through relatively flat terrain and lush forested hills. Location- The Blydenburgh County Park in Smithtown. Length- 6.6 miles round trip. The park is neatly maintained by the City of Plano Parks & Recreation Department. This scenic trail meanders through the main section of Hoblitzelle Park and the banks of Russell Creek. Location- The Hoblitzelle Park in Plano. Length- 3.6 miles round trip. This trail runs between Mineral Wells and Weatherford (Parker County) and features awesome views of Lake Mineral Wells and up-close views of one of the state’s largest American Elm tree. Location- Mineral Wells, in Palo Pinto County and Parker County. Length- 40 miles round trip. This trail runs between Coulter Street and 7th Avenue, running parallel with Plains Boulevard. Location- Amarillo, in Potter County. Length- 8 miles round trip. This trail meanders by Skaggs Elementary School and Rice Middle School and waltzes along a peaceful creek with beautiful hardwood trees. Location- The Russell Creek Park in Allen. This trail travels between Avondale Avenue and Maple Avenue, neighboring Turtle Creek. Location- The Robert E. Lee Park in Dallas. Length- 2 miles round trip. Whether you are a beginner hiker or a pro, or you just want to spend some quality time with your dog, one of these great dog-friendly hiking trails is likely to suit you well. And the best part is that you can take your pooch right along with you! How absolutely cool is that? Have you ever been on any of these dog-friendly hiking trails in the U.S.? Tell us your favorites!